Rice flakes (aval) is normally prepared from rice. I got pearl mille flakes (kamby aval) from organic store. Using this pearl mille flakes I tried mixture and it came out very well. 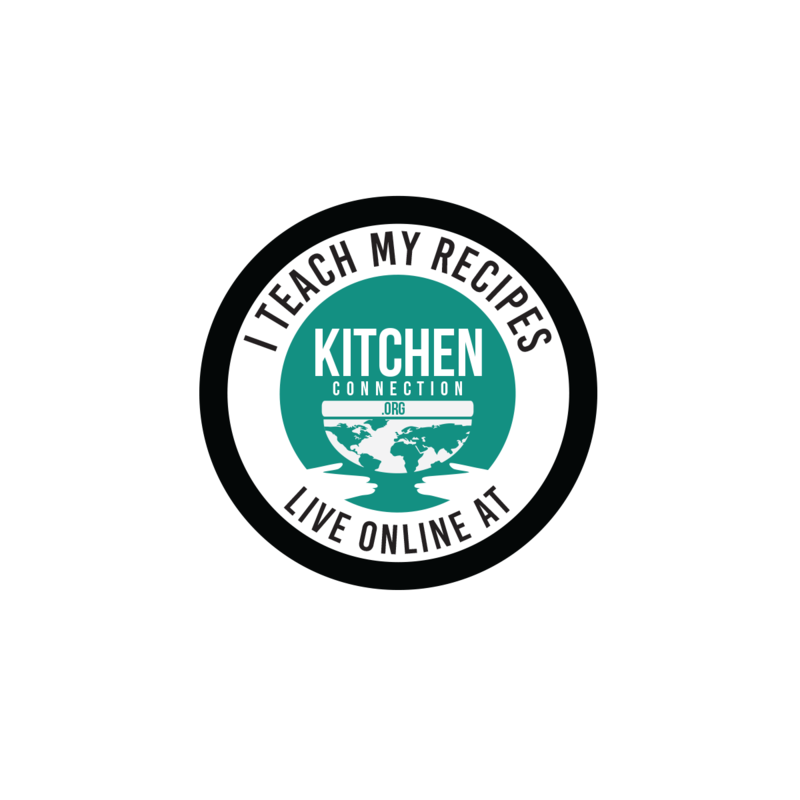 As this is a very easy and quick recipe, I recommend preparing this snack as a karam for this Diwali. 1. Heat the oil in a deep frying pan, deep fry the flakes either directly or using the metal strainer till they become crisp. Drain the oil completely and keep it aside. 2. Deep fry the ground nuts (roasted and de skinned) using the metal strainer for 1 mins. Drain the oil completely. 3. 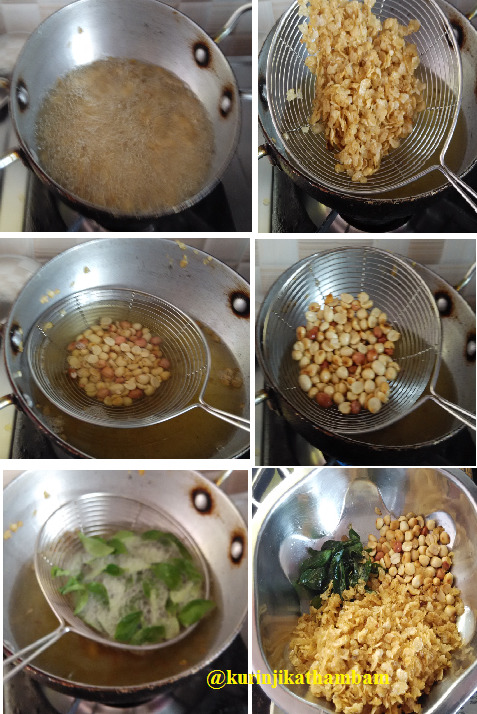 Deep fry the curry leaves using the strainer till they become crisp. Switch off the flame. Drain the oil completely. 4. 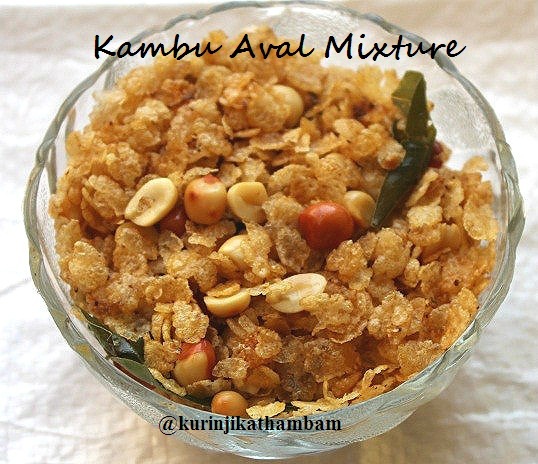 Mix the fried pearl millet flakes, ground nuts and curry leaves. 5. Sprinkle red chilli powder and salt. Mix or toss them gently and allow it to cool down. Then store it in air tight container. Healthy and tasty snack is ready to have with tea.